HURRY HURRY HURRY NOW! 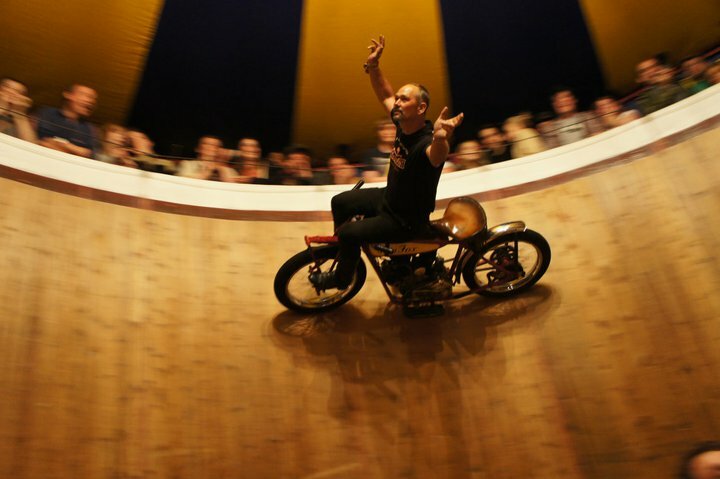 STEP FORWARD FOR THE WALL OF DEATH SHOW! "Slipping sliding, dipping diving, trick and acrobat riding all for your entertainment on the inside! 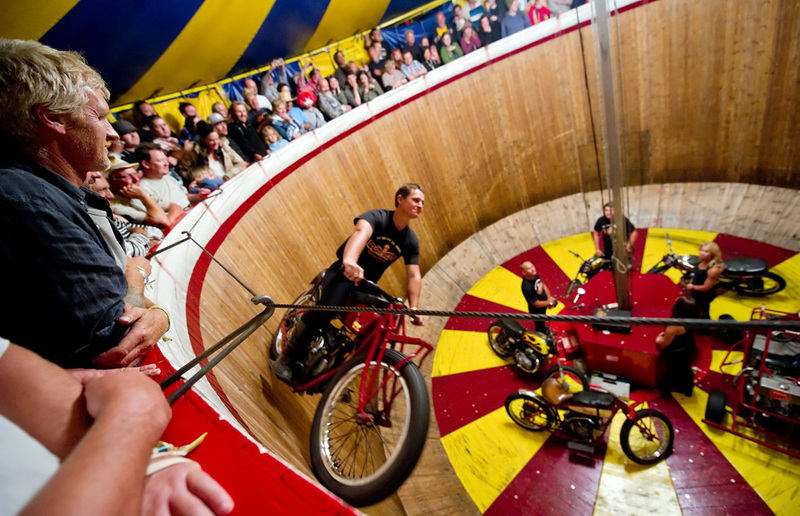 all these tricks and stunts are performed on these 1920's Indian motorcycles! Not One! Not Two! but THREE! riders on the wall at the same time, passing and repassing within inches of each other . 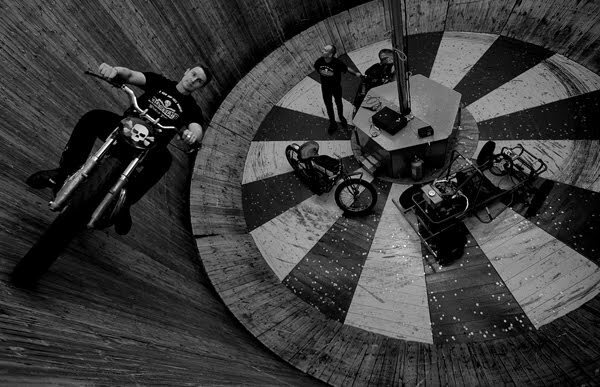 These riders risk life and limb from the moment they enter to the moment they leave! They are the Ken Fox Troupe!" 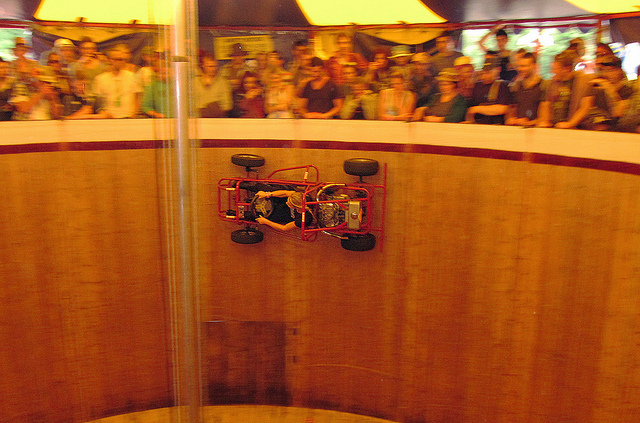 A demonstration of straight wall riding warms up the audience in light of things to come. The dips and dives, precision riding at its best and all within inches of the top! Four wheel fun as the go kart takes to the Wall. A spectical in its own right. Tricks performed on a 1920's Indian Scout. A breath taking display of skill and balance. The Hell Riders race! Fast tactical racing with three riders on the wall at once! 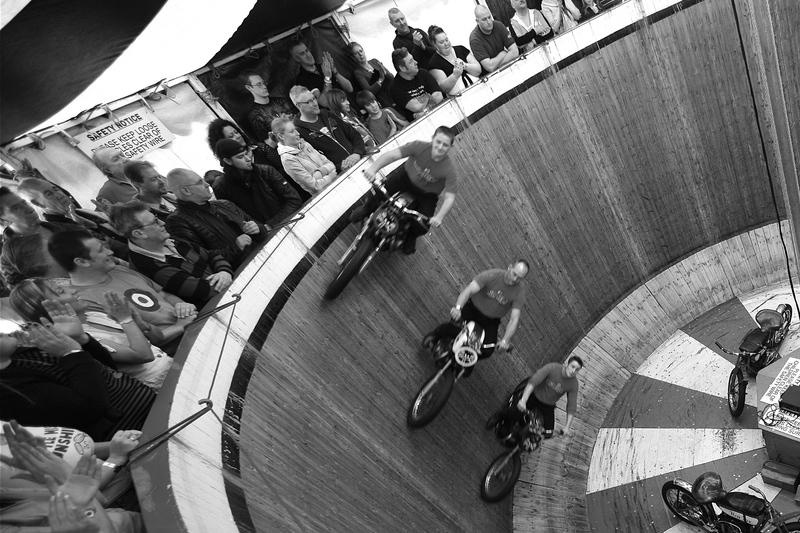 Copyright © 2014 Wall of Death Ltd. All Rights Reserved.